Self understanding is important, neither is it confrontational. If we put our true energy and skills of listening towards a realistic concept, then we can achieve reality. We will need to correct our attitude, thinking and outlook upon life. No matter how we approach a situation, without a proper understanding of ourselves we will certainly fail. It is our thinking that empowers our world and experience of life that changes the impossible to the possible. We never respect our weaknesses, and why I say we do not respect our weakness? it is because if we don’t we would end up thinking we have everything under control, until the out of control happens. I didn’t respect my weakness and it overpowered me in ways that I was placed into the custody of other people/system and not myself. I had to examine the real me, to exist in my truths, living for myself when in fact I couldn’t face the truth nor could I speak the truth. Soon I began to exist and live in my truths, then I began to live for myself, especially for the survival of my only daughter Tayjhiera. In our life we have heard people say, (I feel some type of way) well for me, those individuals are way too much into their feelings. They are driven by their feelings which is a dangerous thing, I say it is natural for a person to feel the way they feel, but when itt is damaging to other people, then it is a problem. 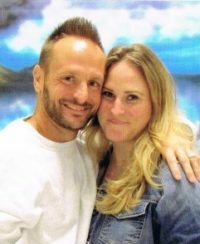 Prison is packed with people who aren’t aware of theirselves and please know that it took me a long time to overstand who I am as a father, a son, brother and friend. I needed this in order to attain who I am. Self control is important to me and it has delivered me to this very moment of truth. I once was hurting, and I didn’t care if I was hurting other people, I was bleeding on people who didn’t cut or hurt me, but there I was taking all the anger, resentment and jealousy out on them and today I remain as a man incorporating help for other people to make their stories known. Share my story with everyone, because you never know who you might be saving.